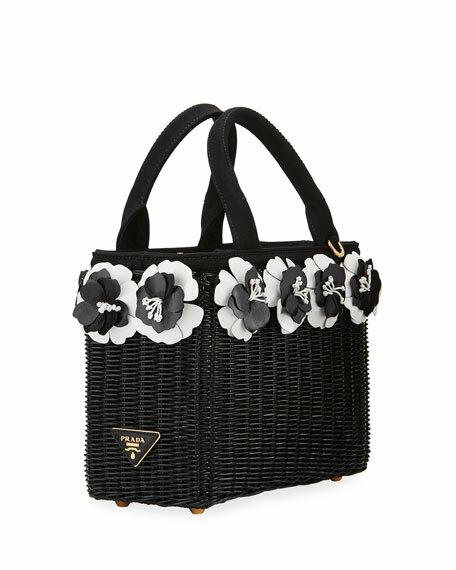 Prada raffia wicker basket bag with bicolor flower appliqués. Rolled top handles, 4.8" drop. Removable, adjustable shoulder strap, 20" drop. 7.5"H x 10"W x 4.5"D.
For in-store inquiries, use sku #2057543.